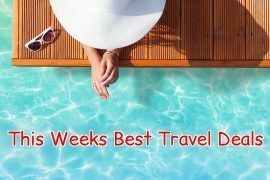 In my best travel deals this week I have super ski holidays, summer in Marbella, Sorrento and Cyprus, luxury for less in Dubai & Sri Lanka, a great cruise deal over the October mid term break, some early booking bargains to Las Vegas and a spa break in Ireland. If you always wanted to try skiing, now is your chance! Crystal Ski is offering a week in the Manzano apartments, Androrra from €249 on the 10th of March. Price includes flights and transfers and is based on 4, 5 or 6 sharing. On top of that, if you buy one lift pass, you get one free, so there has never been a better time to hit the slopes! Kick start your summer with a week in Marbella. Price of €298 includes flights and a seven-night stay in the VIME La Reserva de Marbella, departing the 7th of May. This resort receives great reviews on tripadvisor and has great on-site facilities including indoor and outdoor pools. Spend a week in the stunning resort of Sorrento in July for only €548 per person. You will be staying in the highly rated 4* Hotel Prestige, which receives great reviews on tripadvisor and also includes breakfast! Fly direct with Emirates to Dubai for three nights before enjoying a seven night stay in the Indian Ocean island of Sri Lanka. You will be staying in the Tai Dubai and the Taj Bentota Resort & Spa in Sri Lanka, both superb five star hotels! 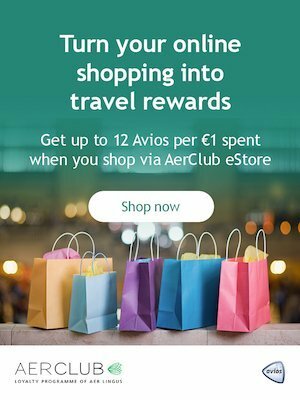 Price of €1529 includes all flights and transfers and for a limited time they are offering a complimentary VIP Chauffeur Service to and from the airport too! Do you like to get away for the October bank holiday weekend? I do and I am very tempted with this amazing cruise deal. Travel from Dublin to Venice on 25th of October and cruise Italy & Croatia for three nights on MSC’s Lirica, followed by 2 nights post cruise stay in Venice – and all for only €659! Price includes return flights, gratuities, 3 night cruise on a full board basis and a 2 night stay in 4* Colombina Hotel, Venice on a bed & breakfast basis. The 4*Leonardo Laura Beach & Splash Resort in Cyprus looks superb. It is right on the beach, has been recently renovated and has a water-park on site! Price for 2 adults & 2 children with all meals & drinks included is only €3082 on the 14th of August. 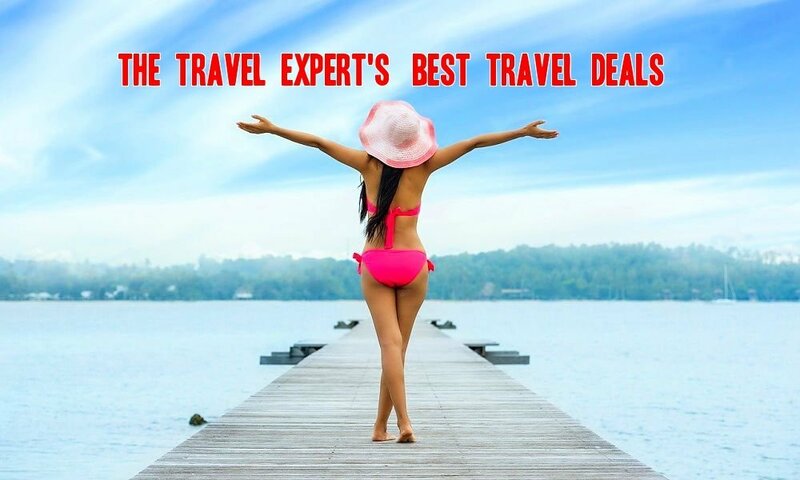 This includes a free-child place, flights, transfers and checked baggage. Use code PAYDAY50 to save a further €50 off the price! Give the gift of spa break this Valentines Day. 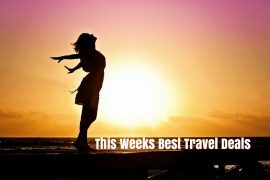 This super deal to the highly rated Maryborough Hotel in Cork includes an overnight stay in a deluxe or executive room with breakfast, €20 dinner credit, €20 spa credit per person and a bottle of prosecco – all for just €189. This deal is available up to the 31st of March and even includes Saturday nights! Plan a winter break in Las Vegas now! With prices from €399 in the Circus Circus or €589 in the 5* Bellagio – these early booking offers to good to miss! Price includes flights and a three night stay, departing the 7th of December but many more dates and durations are available. 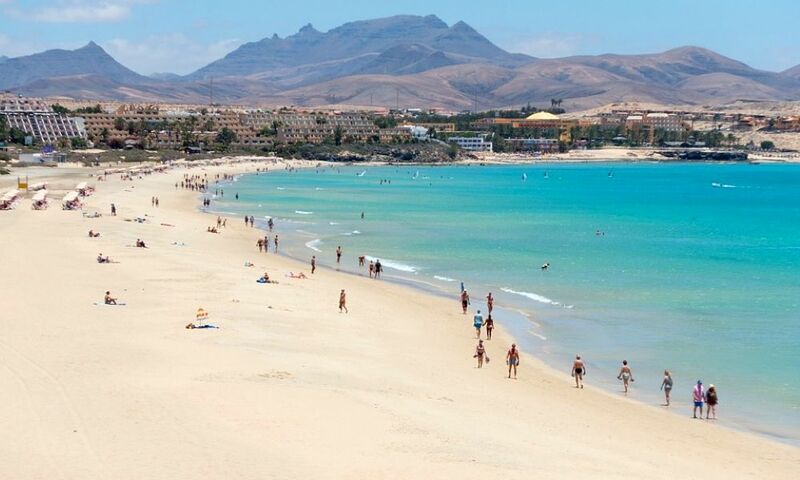 3rd September, One week package deal to Fuerteventura, only €334! Next articleSun Holidays from Shannon Airport This Summer – Plot your Sunny Getaway Today!